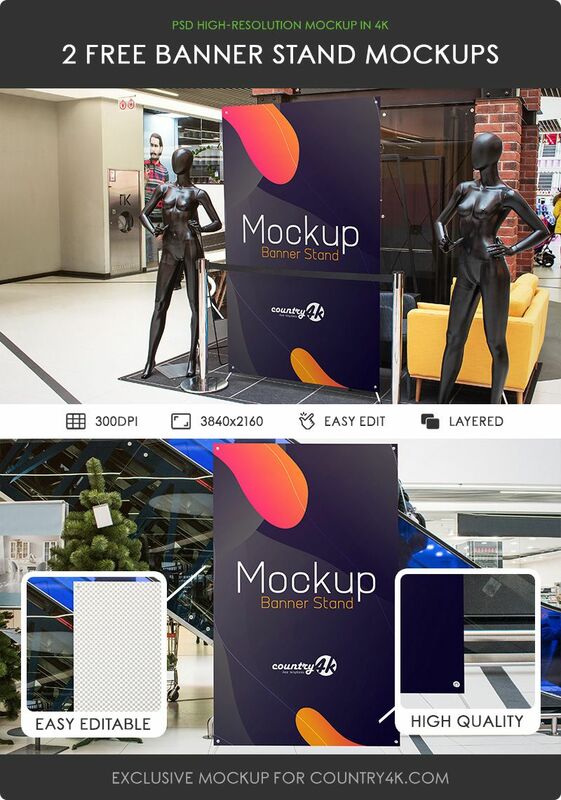 Create a realistic presentation of an advertising banner with our high-quality mockup. At the same time, this banner for indoor advertising is available in PSD format with convenient smart objects. That is why you can get the presentation you want by placing your design in it. In addition, it is very easy to use, since you just need to double click on the smart object and place your design. 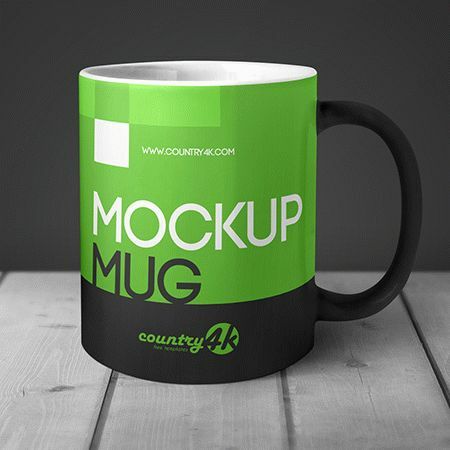 It is important to know that this mockup is ideal for demonstrating advertising design, banner, logo and other design projects of yours. 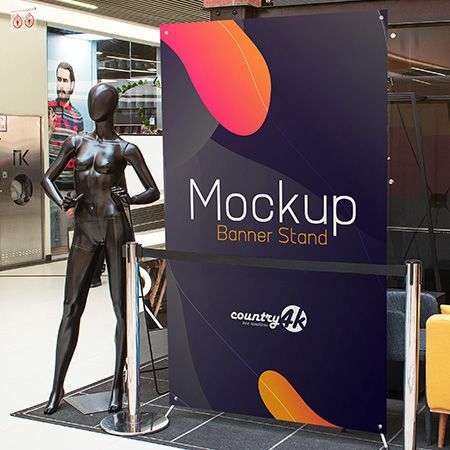 See for yourself how easy and simple it is to create photorealistic advertising using our free banner stand mockup. 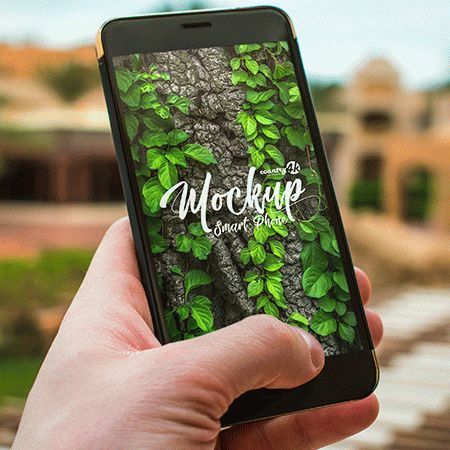 Download 2 Free Banner Stand PSD MockUps in 4k and embody your most extraordinary ideas using the Photoshop program. I hope you will enjoy.